The fourth and last in the Bluebell Gadsby series, and for anyone who has lived and loved the cavorting adventures of Bluebell and her clan of siblings and hangers-on, this read will be tinged with sadness. Like a slightly older Pea from the Pea books by Susie Day, and a younger and more modern Cazelet clan, the Gadsbys are one of those storybook messy families, with an abundance of siblings and extra add-on quirky characters who interact with the main family and help them to learn and to grow. 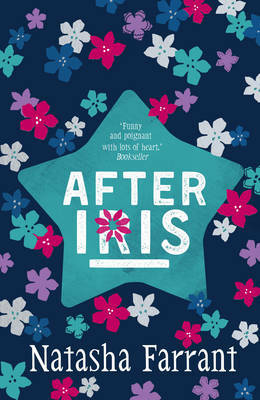 Bluebell Gadsby burst onto the scene in 2013 in After Iris, a tale that joined the family a few years after Bluebell’s twin, Iris, had died in an accident. Despite the graveness of the subject matter, it was, and still remains, a light and easy read – a constant flow of emotion and busyness that is the modern family. So now to 2016, and the arrival of Time for Jas. As with the others in the series, Bluebell tells the continuation of her family dramas partly through normal narrative and partly using video transcript – Bluebell having a penchant and flair for filming and documenting things around her. This dual style adds a great deal to the drama – at moments, allowing the reader to step back and see the setting from a wider viewpoint. But it also gives Bluebell (our protagonist) the unique opportunity to see things from a slightly distilled viewpoint, distancing herself from the action of the story, and perhaps editing things to a perspective she prefers, or zooming in and seeing a particular episode in close-up detail. It’s a powerful and clever way to tell a story in a book for young people. 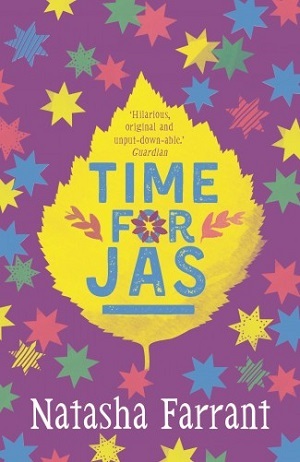 The title, Time for Jas, suggests that the action has moved to focus upon little sister Jas, the only sibling still at primary school. 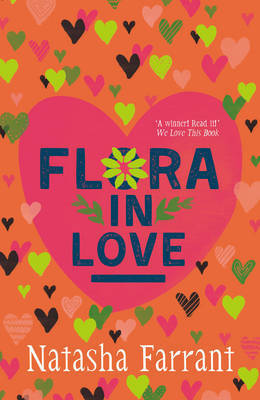 Actually although it does pinpoint Jas’s struggle to find friends and her experience of bullying, the Gadsby family are featured in full; highlighting Flora’s escape to drama school, Twig’s new found hobby of violent team sports, and Bluebell’s own discovery of an immensely talented, yet mysteriously anonymous, chalk artist on her doorstop. Farrant is astute at weaving the various characters’ dramas in with each other, meshing the family as a whole, whilst still retaining everyone’s own private happenings and giving an insight into what they might be feeling. The seamless flitting around characters explores both the busyness of life and situations in which people intersect. But most particularly, I loved the friendship between Bluebell and her best friend, Dodi. They have a strong history, which gives them a strong friendship, but also a realistic relationship because it doesn’t always run smoothly. Bluebell’s observation that people don’t really change, even after you’ve pointed out to them what isn’t working (in this case, bossiness) is a robust admission; a clear view of Bluebell’s character as well as Dodi’s. The book is set in an identifiable part of London, with a contemporary style that features the texts and emails and all the essentials of a modern teen life and the complications that technology brings, so it feels grounded, with tangible references. Yet the story also occupies the space of large middle-class families in storybooks who are slightly eccentric – the parents are nicely tucked away, and yet there is family time in the evenings of sitting en famille around the piano, rather than watching television. Farrant’s gift for storytelling is evident in her ability to weave themes in the books too; here art, identity, ambition. And of course the ever-present death in a family that casts a long shadow of grief across the entire landscape. A great series, rivalling McKay’s Casson family for a place on the bookshelves, this is a wonderful series for tweens and young teens. 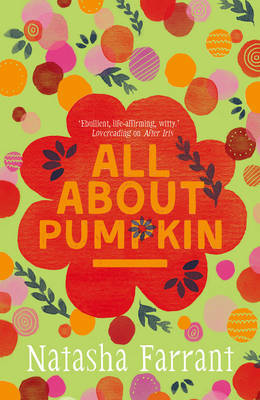 And it has to be mentioned, the new covers and the coloured edges look rather stunning. You can buy the last Bluebell Gadsby diary here.